Acoustic jackets drown out noisy components, keeping your workplace safe and sound. Acoustic jackets drown out noisy components, keeping your workplace safe and sound. 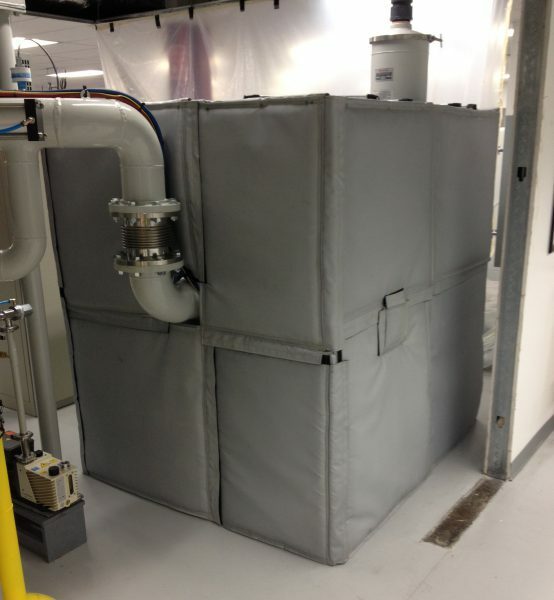 When noisy equipment is a problem, removable acoustic insulation jackets may be the solution. We engineer our acoustic jackets to combat your specific needs with the perfect combination of absorbing, damping and reflective materials. First, we evaluate the spectrum of frequencies being emitted, then we assemble the perfect combination materials to reduce each elevated frequency to your desired decibel level. In some extreme cases, at our customers’ request, we reduced noise levels by 99%. 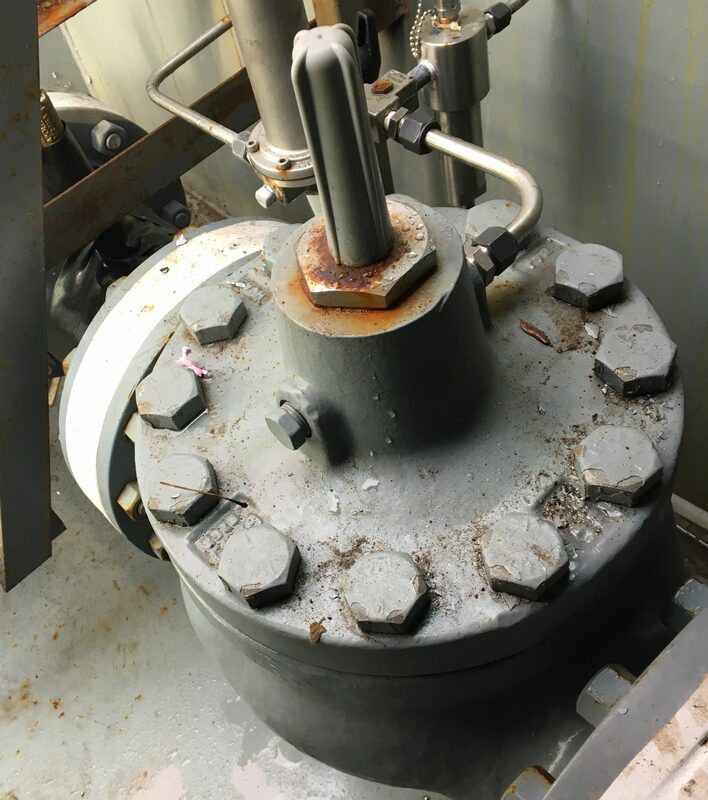 Compressors and motors are prime offenders when it comes to noise pollution. 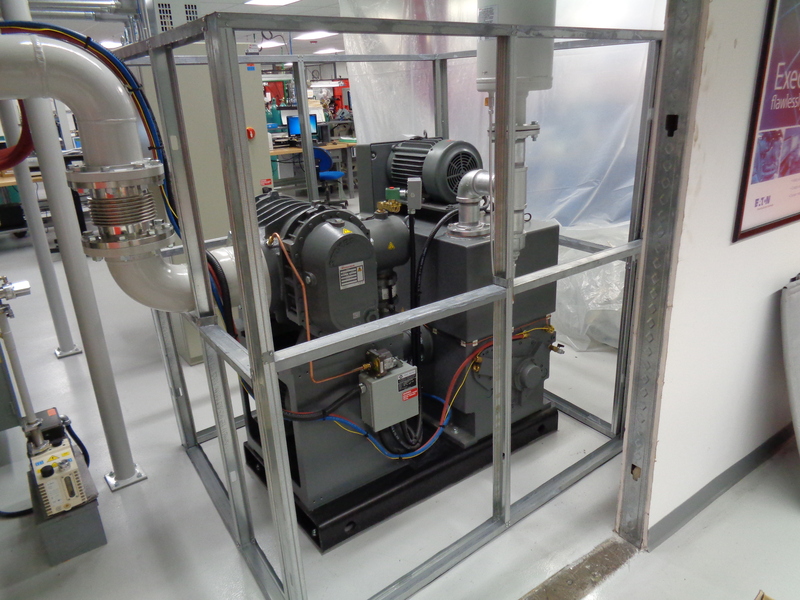 When a less noisy model is not a practical solution, the answer very well could be removable acoustic insulation. 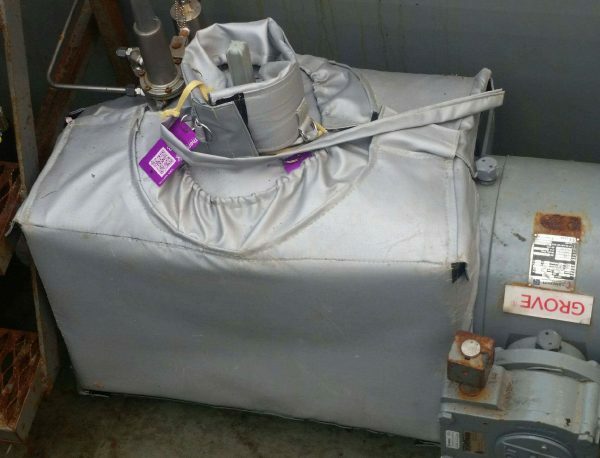 Most facility owners prefer removable to allow insulation to be easily removed and replaced for inspection and maintenance. Tenants or workers subject to continuous loud, annoying and upsetting noises, may feel compelled to complain, threaten to quit, move or worse report you to OSHA, local housing authorities, or other local authorities resulting in possible fines or citations. 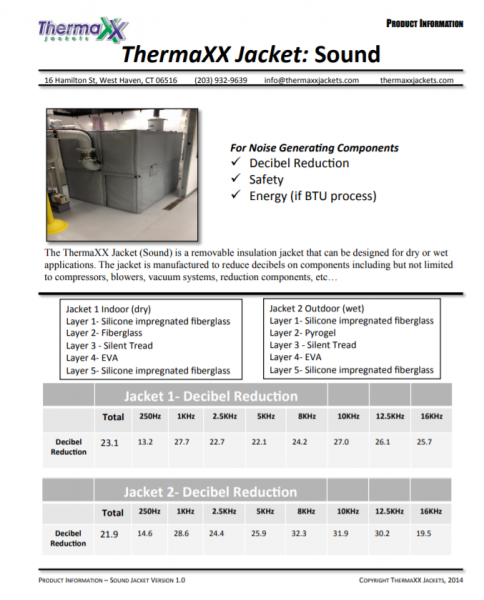 If your equipment is producing high levels of noise above federal, state or local noise thresholds, consider noise reduction solutions such as acoustic insulation jackets. Studies demonstrate that continued exposure to high noise levels produces a plethora of harmful effects such as hearing loss, difficulty concentrating and interference with verbal communication, sleeplessness, increased stress, increased blood pressure and even heart problems. Workplace noise negatively impacts employee health, safety and productivity. Noise pollution centered in residential areas interrupts sleep, increases stress hormones such as cortisone and adrenaline, and can notably impact mental and physical health. High noise levels make it more difficult to attract and retain quality workers, tenants, and homeowners. 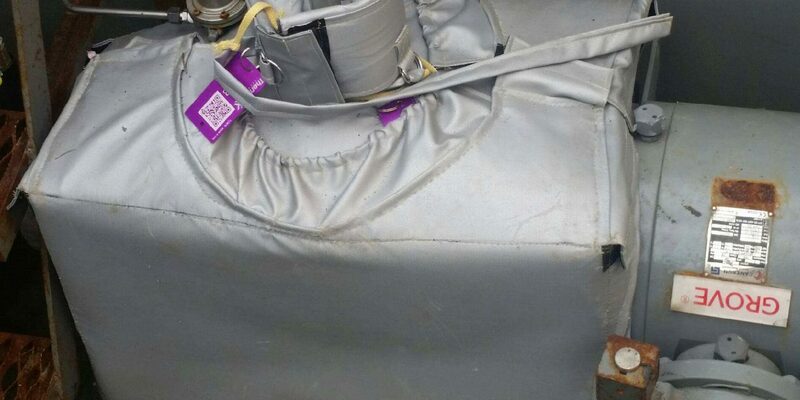 Our acoustic insulation jackets are specially designed to be easily removed and replaced to facilitate easy maintenance and repairs on equipment. Most of our insulation covers can be taken off or put back on in 3-5 minutes or less.